Home / featured post / EFCC Gives Condition For Omisore's Release. EFCC Gives Condition For Omisore's Release. 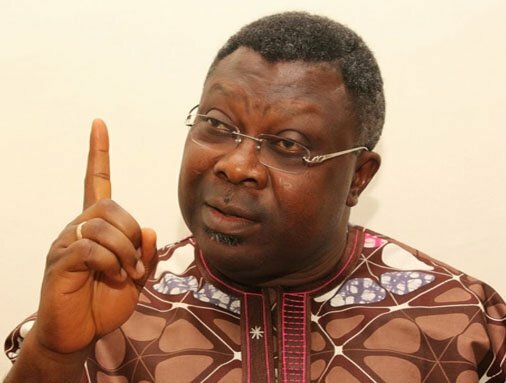 The Economic and Financial Crimes Commission, EFCC, has given conditions for the release of Senator Iyiola Omisore who was arrested in Abuja yesterday morning after a raid and thorough search of his house. According to a statement by the spokesperson of the Peoples Democratic Party PDP in Osun state, Prince Diran Odeyemi, EFCC in a letter handed over to Sen Omisore after several hours of interrogation asked him to produce two serving Directors in any of the Federal Ministries or Agency with landed property in quarters of Maitama or Asokoro area of Abuja while the Sureties must submit the original C of O of the said landed properties to the commission. His words: “We know too well of a standing instructions to serving civil servants not to stand as Sureties in any matter and wonder why EFCC is giving a condition they have already blocked” . “We will approach the court to seek Sen Omisore’s release and wonder why EFCC has turned itself to an agent of persecution instead of prosecution”, he added.